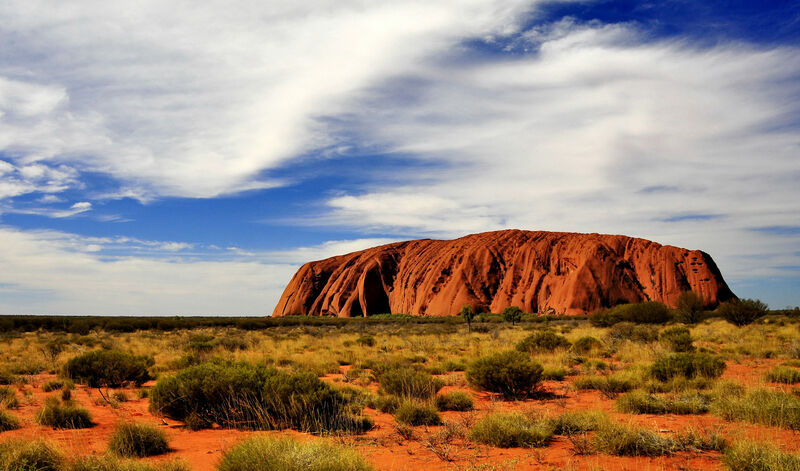 We finally realized our dream to travel to the Red Center of Australia known as Uluru-Kata Tjuta! These 600 million year old monolithic rock formations hold both a magical and spiritual connection for indigenous people and tourists around the world (see more here). Yes, we took and wore our fly netting and made it around the 10K trail walking, and at times, dragging our feet! We also enjoyed an evening dinner in the desert - where all light was extinguished and constellations burst forth. Perhaps you know the stars are different down under. The "Southern Cross" is the most famous. A camel ride was top on my list and followed by time in the swimming pools at the resort. One million wild camels now run wild in the bush. We learned more about the Aboriginal culture and bought a desert dot painting, our second. The Aboriginals have lived here for over 10,000 years! (See more art, and buy your own here and here).